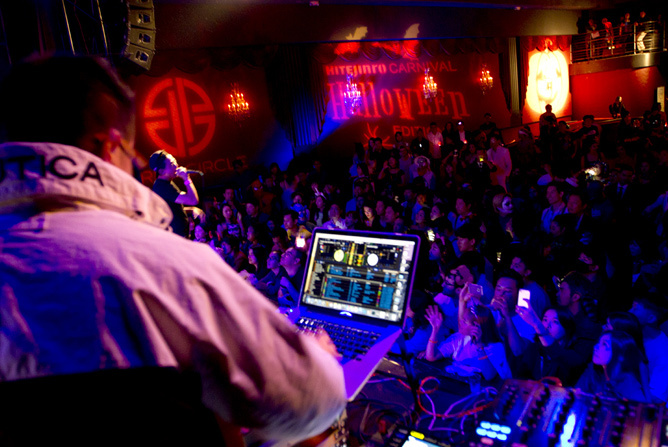 Privy Circle x M8 recently produced the HiteJinro Halloween Carnival at venerable El Rey Theatre, featuring former Sistar lead, Hyolyn, and DJ rapper Kero One. 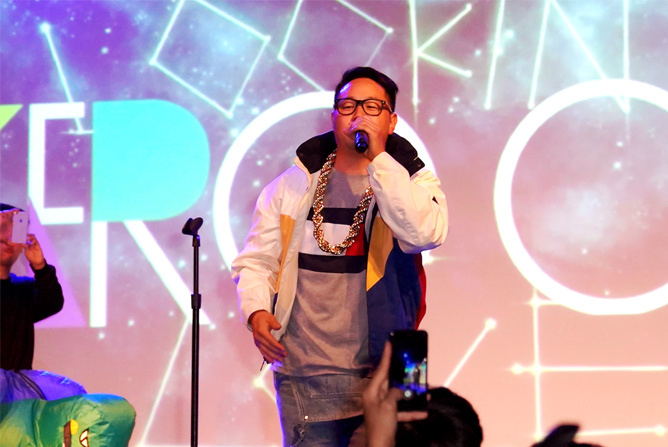 YouTube personality and rapper DANakaDAN emceed the packed 600-person event which also served as M8’s pre-launch party for its upcoming iOS app release. Brought to you by Privy Circle, M8 is human-powered relationship matchmaking platform - think of it as a Kickstarter for your dating life except the goal is help you find love. Recently featured on TechCrunch, you can signup for launch here. HiteJinro sponsored the endless flow of good times, with an open bar of Jinro Soju cocktails and Hite beer at the Halloween Carnival event. Also a special shout out to our co-hosts and sponsors JT Kim, Hanvid Lee, James Rhee, Starnia Entertainment, Kooding.com and Next Shark. 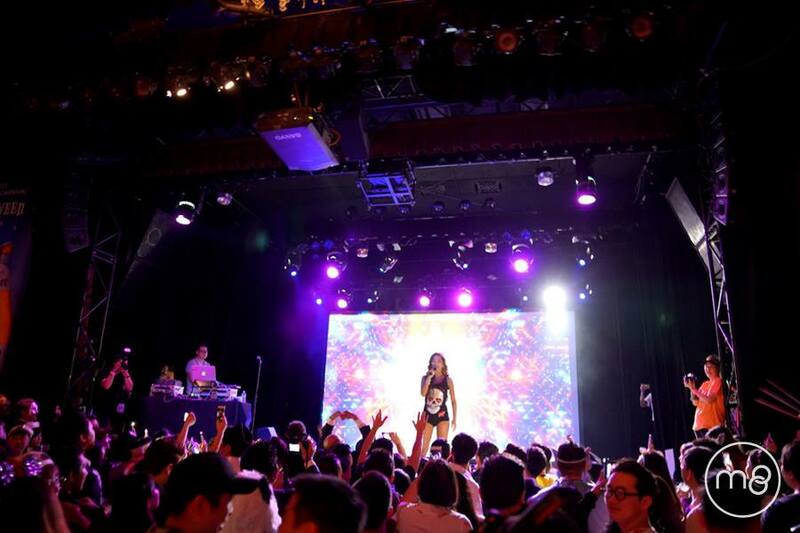 Friends of Privy Circle x M8 reveled in the sounds of DJ Kodi, DJ Kero and headliner Hyolyn, with Dan Matthews AKA DANakaDAN emceeing the packed venue, an original art deco theater on the Miracle Mile. DANakaDAN recently debuted a music video with filmmaking tycoons, Wong Fu. DJ Kero is a talented Korean-Californian rapper, producer, and DJ. In 2017, Forbes Magazine wrote a feature piece on Kero’s music, calling it “a grand exercise in mixing modern sensibilities with old-school, funk-inspired sounds.” Kero also has attracted the attention of some of music’s biggest names including co-signs with Will.I.Am, Stevie Wonder, Epik High and Aloe Blacc. His collaboration with Park Kyung of Block B became the #1 song in Korea. It was through this experience as a producer Kero realized his mission; to remain true to his style as an independent artist while producing hits for major label vocalists worldwide. Follow him on Instagram at @keroone. Currently a solo artist, Hyolyn is the former lead singer of the popular K-pop group Sistar. Her debut with Sistar’s first single “Push Push” in 2016 spawned many hit songs such as “LONELY,” “BLUE MOON,” “Paradise,” “I Like That,” “SHAKE IT,” “I Swear,” “Touch My Body,” “Give It to Me,” “Gone Not Around Any Longer,” “Alone,” “So Cool,” “How Dare You” and “Shady Girl.” Hyolyn has also covered some popular movie soundtracks such as “Crazy of You” from “Master’s Sun,” “Turn Around” from “Little Prince,” “Let It Go” from “Frozen” and “Hello / Goodbye” from “My Love from the Star”. She also has won many Korea awards including the Gaon Chart Music Award, Golden Disc Awards, High One Seoul Music Awards. Follow her on instagram at @xhyolynx. Of course, an exhibition like this wouldn’t be complete without a Halloween contest! Our winners collectively won $2000 in cash and $1000 in Kooding.com gift certificates! KOODING is the global leading website in providing authentic Korean fashion, including clothing, shoes, accessories, bags, and stationery directly from Korea in affordable, fast, easy, and safe way.